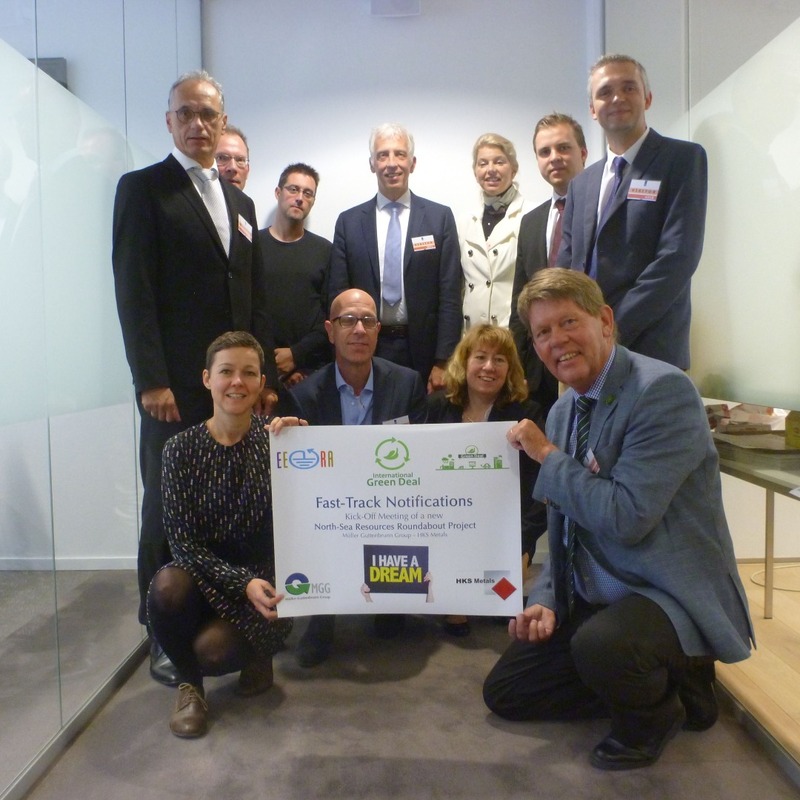 The case, initiated by Müller-Guttenbrunn Group and HKS Metals in the Netherlands, deals with the concept of ‘Fast-Tracks’ for WEEE with the objective to make shipments to compliant EU WEEE recyclers easier and faster. 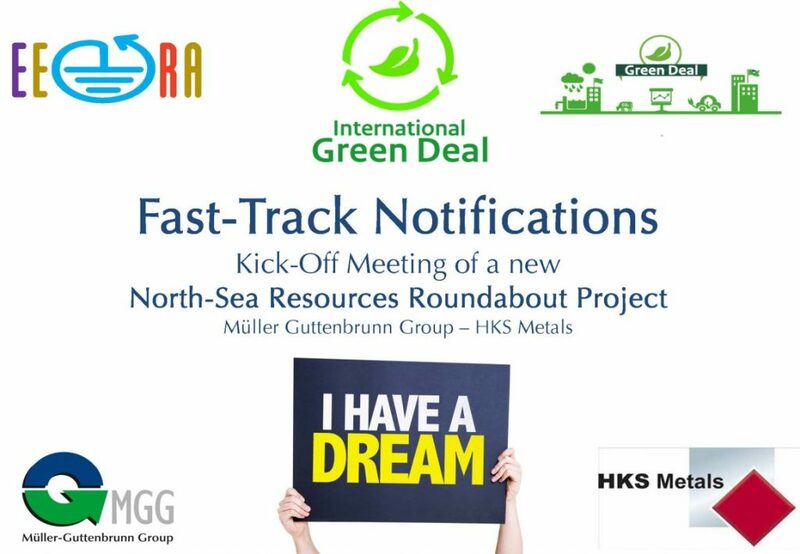 Article 14 of the European Waste Shipment Regulation provides ample basis for the concept of ‘Fast-Track Notifications’, but implementation can be improved. For this particular case Austrian, Belgian, Dutch, English and French public and private sector experts explore possibilities for commonly accepted criteria for pre-consented facilities and for the development of mutually acceptance simplified notification procedures under the Waste Shipment Regulation. The working group had its first meeting in the Dutch Permanent Representation in Brussels on September 13. The NSRR was initiated by The Netherlands, UK, France and Flanders with the aim to stimulate Green Growth in the North Sea region by facilitating the trade and transportation of secondary resources. The 5 year International Green Deal is envisioned to accommodate a maximum of ten secondary resource streams or cases. For each case a working group is established to come up with practical and scalable solutions to the barriers encountered. Most solutions are likely to involve the harmonisation of national interpretation and enforcement of EU legislation and will not require new rules or regulations. Making shipments to compliant EU WEEE recyclers easier and faster will allow these WEEE secondary raw materials to flow much in the same way as primary raw materials can do today and will result in boosting the production of secondary raw materials for the European Circular Economy. Furthermore Fast-Tracks Notifications are expected to free up time and resources from the authorities, which can then be used to fight true illegal exports of WEEE and fractions of WEEE. A number of initial actions and planned deliverables were defined in this productive kick-off meeting.